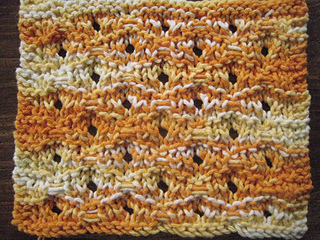 The pattern is based on the porthole pattern in the Big Book of Knitting Stitch Patterns. 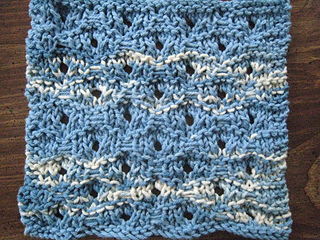 I’ve made a couple of changes to the stitch pattern. 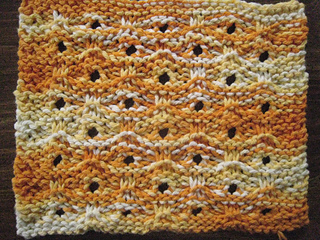 Note that the slipped stitches are slipped with the yarn on the RS of the cloth. 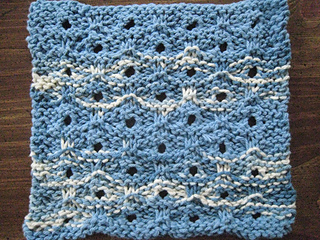 The pattern is both charted and written. Both the WS and RS of the cloth are pictured. Lines 5 and 11 of the pattern should have wyif, instead of wyib.